“My mom and quite a few of my sisters have done home births, and for me, I don’t feel comfortable with it." When faced with the decision of how and where to deliver their daughter, Jinger and Jeremy Vuolo initially choose a midwife-assisted birth at the San Antonio Birth Center. Located two-and-a-half hours from their home in Laredo, the center is within close proximity to multiple hospitals. Ironically, Jinger was one of Jim Bob and Michelle Duggar's two children (the other being Joseph) to be delivered at home, but she and Jeremy have decided that they don't feel comfortable with a home birth. Ahead of Felicity Vuolo's arrival, the plan is to deliver at the San Antonio Birth Center, but closer to the time, they decide to deliver at a hospital with their midwife present. Below is a preview, courtesy of People Magazine, of tonight's episode. Counting On "Lauren Finds Her Dress" premieres at at 9pm ET/8pm CT on TLC. So Jeremy said that if something goes wrong then the hospital is just a minute away. Why not just give birth in a hospital then? If something goes wrong in the hospital care is right there. 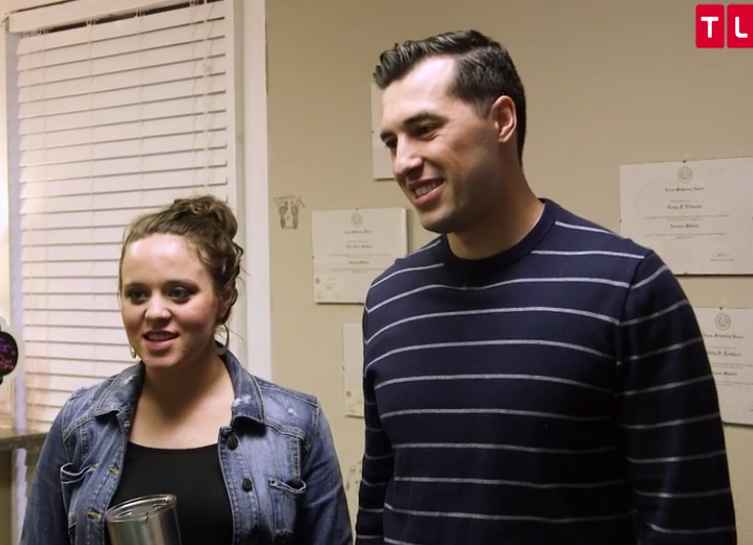 They decided to go with a hospital birth during the final weeks of Jinger's pregnancy. Jinger wanted to give birth in a home-like setting and then determined that the hospital was the right choice for her. Because home and birthing centers are more relaxing places to give birth in. If you have no complications there is literally no reason not to give birth outside of a hospital. Why do so many people feel the need to be judgmental about this? Anon 1:30, I am not being judgemental it’s just the logic of Jeremy’s statement makes no sense. My sister in law wanted to give birth at a birthing center on the property of a hospital on the chance hospital intervention was needed. It's quite common actually and makes many moms feel a bit more at ease. Jinger does not owe us an explanation as to why/where she chose to give birth. Anon 4:53. No one is asking her why or if she were to have a homebirth or Hospital birth. They spill their personal information all by themselves for money. True, but she chose to share why. It seems she wanted to give one. Who said she owes anyone anything? She probably wanted to counter the millions of times her family members have unwisely touted the wonders of home birth, only to be rushed by ambulance to a hospital when it goes wrong. Logically, the original statement should apply then to the Duggar girls who give birth at home, too. Congrats to Jinger for breaking the mold! It can be very hard to do that when everyone else is doing the same thing. Glad Jinger and Jeremy chose something they were both comfortable with for their family. Ellie, what kind of birth plan are you leaning towards? If it’s too personal, no worries! 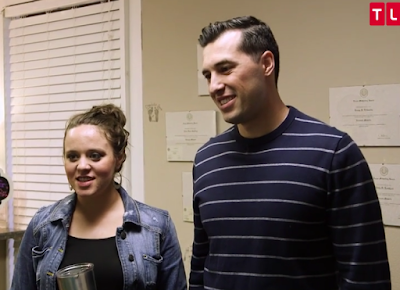 Jinger and Jeremy are the most leveled headed couple. I am happy they considered the safety of baby Felicity and Jinger. No need to try to be wonder woman when it comes to giving birth with modern technology. It’s not about being Wonder Woman, it’s about what is right for you and what you are more comfortable with. For some people that’s giving birth in a hospital and for some that means giving birth at home. At home is riskier than at a hospital. I don't know anyone's kitchen that's clean enough for an emergency C-section. I don't know anyone who keeps units of blood in the fridge, bottles of oxygen on the back porch, and a spare surgeon in the hall closet. I knew several who delivered at home with no problems. I'm glad Jinger decided to deliver Felicity in a hospital. Jinger knew the complications her sisters have experienced through labor and delivery. I completely understand her decision to deliver in a hospital. I must admit the title of this post rubs me the wrong way, it assumes home birth is the default option for Duggar births and Jinger "opted out" of it because she's "special" in some way. While home birth advocates likely wish it were otherwise, home birth is certainly NOT the default for the vast majority of women, including Jinger's own mother, Michelle. Kendra didn't have a home birth either. I wouldn't be surprised if Lauren and Abbie also choose a birth center or a hospital birth. Jinger ended up getting induced at a hospital, but did she end up getting an epidural, too? Did they ever explain why they knew ahead of time that they would have to induce? Jinger was concerned about the size of the baby. They considered her family history of having large babies, so they made the decision to induce. Didn't they know the size ahead of time? Every OB I've known has been able to guestimate it fairly well before birth. That's what all that weighing and measuring and feeling around is about at your appointments. Jinger did end up with an epidural, as her labor was not progressing, she was wearing out, and her dr felt the epidural would relax her body enough to progress the labor. And that’s exactly what happened. 12:49PM: Guestimates can be really off, even by a trained OB. My doctor thought my second child was going to be over 10 lbs but he was just over 8. And a friend's doctor thought her first baby was going to be 7-8 lbs, but ended up 10 lbs 5 oz. It's certainly only a guess, not an exact science! I was given an estimate of "7, maybe 7.5 lbs" when I was in the late stages of pregnancy with my daughter. She was 9lb 5oz. Measurements in utero are by no means an exact science, and good for Jinger for taking precautions based on family history. I’m sure she did with the way she was laughing through contractions, and sleeping through them as well😄 I sure wasn’t able to sleep and giggle during my natural 48-hour long labor and delivery!😜 I was doing just that- laboring! Glad Jinger went to the hospital. I wish Jill and Joy would have, esp with Jill's second baby. Home births are safe in the right circumstances. The Duggar girls tend to fall outside of those circumstances. Good for them! Jinger learned from her sisters. Not that home birth is bad, but at least she is close to hospitals in case something went wrong. Jinger had excellent prenatal care and received great guidance and support in making her birth plan. I’m glad we got to see some of her process. I don’t know who advised Jill, Joy, Jessa and Anna....some of whom have not had great results. Yes, their babies are ok but what if. More planning and more thought next time ladies! Anna’s births were all perfect, and what happened to Jessa with Spurgeon would still have happened in a hospital. Jill definitely should have gone to the hospital sooner with Israel, and should have been there the whole time with Samuel, and if all had gone well she could have tried for a birthing center vbac with her next baby. Joy Anna didn’t actually do anything wrong as they went to the hospital right when they should have instead of waiting three days. The way Anna's second delivery was filmed was a violation of her privacy and modesty standards. I always felt bad for her that they filmed her giving birth on a toilet and in a way that had to be blurred out to meet any tv broadcast standard. In her birth with Marcus, she was first afraid that she would give birth in the car on the way to the birth center and then was afraid of giving birth in a tub. She kept asking if he would be ok being underwater. Anna has had successful homebirths and birth center births. However, whoever who filmed them should have been more respectful of her. 4:56. Why feel sorry? Anna allowed herself to be filmed and put it on TV. Doesn’t anybody have personal accountibility for their own choices anymore? She was in the most vulnerable position possible as a woman. She was physically unable to move from the toilet and probably had no idea they were filming below the waist. Those around her failed her. She chose to give birth on camera not allow post-production to see her crown when she didn't want the public to see her bare stomach. There are ways to film birth that respects the mother. I didn't see anything wrong with them showing her having the baby while on the toilet. At least she wasn't on her knees on a bed with her behind exposed like I've seen on some birthing shows. It's your choice to be fine with the cameraman choosing to disregard Anna's modesty standards. They filmed pretty much the same thing whether they filmed her from behind with her knees on the bed or below the waist sitting down. She would be exposed both ways. My favorite "Duggar" couple... I like the Birth Center idea, it's kind of a medium between home and hospital. Does it have to do with money? Do people have to pay for the cost of births? I'm sure it's cheaper at home. If they want lots of children, costs will add up. Where I live, in Europe, the insurance pays almost everything, so that's why I am asking. Depends on the type of insurance one has. If you have low income and have medicaid then you won't have to pay anything, except for hospital food. If you have private insurance, then you'll have to pay monthly copay, and then about $5,000 plus for your upcoming delivery. It really depends on your insurance. With our second child, we wanted to have a homebirth with a midwife (my first labor went great/ no complications at all). We looked into it, and because they don't accept insurance, all costs would be out of pocket. The told us we would be looking at $5,000-$6,000 to have our baby at home (this was over 7 years ago). I opted for the birthing center at the hospital with a midwife. The cost was $150 (my deductible). A good estimate for the cost of a birth with no complications in th USA is $10,000 WITH INSURANCE! It varies though. We are the most expensive country to give birth in. I'm not sure if that's why they choose to do home births though. Had a scheduled c-section three years ago b/c my baby was frank breech. There were no complications but adding up the surgery, anesthesia, and care for baby and me for 48 hours, approximately $25,000 billed to insurance. (Hospitals jack up prices for insurance companies b/c they always negotiate a lower price in the end, but still sooo expensive.) We paid $1-2K out of pocket since my husband's employer provides generous insurance benefits. I had 4 c sections and then had a vbac at home. I’m not a feminist but I do believe that a woman should have the right to deliver where and how she wants to. Jinger decided to have the baby in the hospital and that’s great, but she wouldn’t have been wrong to try at the birthing center. Her body, her choice. Not just her choice!!! Dad should have a say too!! 4:21. Not really. The female has the ultimate say. The man can give opinions but she makes the final decision. Her body, her decision. No the dads not going though labor, the ultimate choice is the mother’s . Dad’s should only have the ultimate decision if the mothers choice risks her and her babies health. When dad pushes the baby out then he should get a say. Till then he should just support her in whatever decision she makes. Anon at 6:19PM: You do realize the "her body, her decision" slogan is used to justify a woman choosing to have an abortion even if the father wants to keep the baby? Unless of course you support that, too. And while AFAIK the father has no LEGAL say in anything regarding pregnancy, but that doesn't mean that's right to totally ignore his opinions. A lot of things are totally legal and are also immoral. Cheating on your wife or husband is legal in most places, and AFAIK cheating on your GF or BF is legal everywhere, that doesn't mean cheating is ok to do. Anon: 12:25, I don’t think people are suggesting to totally ignore the dad’s opinion, that are just saying that the mother has the final decision because she is the one who is going through labor not him. Because they induced the birth was done at the hospital. Most birthing centers don’t do induction or epidurals as an anesthesiologist is required. Yes, it is a woman’s body and her choice...hopefully she is using common sense in making the decision. Given a family history of having large babies, Joy had a 10 pound baby on her due date, and her sisters having birth complications, Jinger definitely showed common sense. She also had her midwife there as an advocate and birth coach to guide her through the process. 4:22- What's to discuss? A husband can offer his opinion, but the ultimate decision lies with the person giving birth. After given professional medical advice, it is a woman's body and her choice. That is a very picky comment. Okay, fine, let's say "quite a few of her sisters have ATTEMPTED home birth". So far Jinger is the only Duggar daughter to have a planned (not an emergency back up Plan B) hospital birth. Kendra also did, but she's an in-law. I don't know what Lauren and Abbie will do but as they both have nursing training I think they'd prefer to have a birth center or hospital birth. Or at least have a NURSE Midwife not a CPM. It’s fun to see how different all the girls are going with their births. Women should give birth wherever they are most comfortable, whether home, hospital or birth center. I personally chose birth center for my own first birth as well and it went super- I caught my own baby after 2 days of labor. Then we decided on a home birth for our 2nd child, as I did not want to labor in the car on the way out anywhere. I delivered my son in our sun room after 6 hours, he was 10 lbs. It can be done if you so choose. God made our bodies perfectly to do this very thing.